Confessing the Lordship of Jesus before men is not a matter of shame and fear. Yet, many Christians fear to publicly acknowledge Jesus Christ as their Lord and Saviour out of the fear of man. Even during the time of Jesus, many believed in Him to be the Messiah but feared to confess Him openly out of fear that they would lose a position or be ostracized out of the Jewish community. Why do people not publicly acknowledge Jesus Christ as their Lord and Saviour? The Bible says, “For they loved human praise more than the praise of God.” (John 12:43). 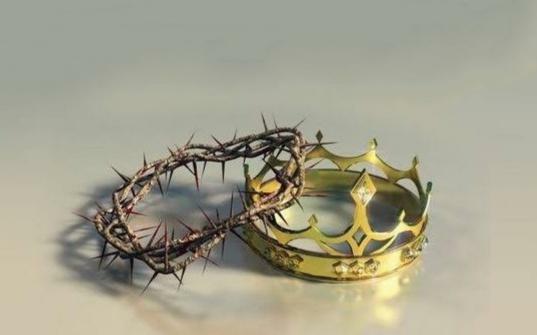 Many a times, when human approval seems more important than God’s approval, people fail to publicly acknowledge Jesus Christ as their Lord and Saviour. Why do we fear the disapproval of others so much? The Bible calls this the “fear of man,” The fear of man can immobilize us when we should take action, and gag us into silence when we should speak. “The fear of man lays a snare, but whoever trusts in the Lord is safe” (Proverbs 29:25). The Hebrew word here for “snare” refers to traps hunters used to catch animals or birds. Snares are dangerous and we must do all that we can do to free ourselves. The good news is, God has the power to free us from the fear of man so that we can live safe and secure in the freedom that He has provided for us through the perfect sacrifice of His Son Lord Jesus Christ. #1: As soon as you recognize the fear of man in your life, confess it as sin to God and repent. #3 Ask Him for grace and power to boldly and fearlessly proclaim Jesus Christ in all places at all times. I shall not fear men but God. Lord Jesus Christ died for me and when He rose again He gave me victory. Therefore I shall lift Jesus higher in all places at all times.